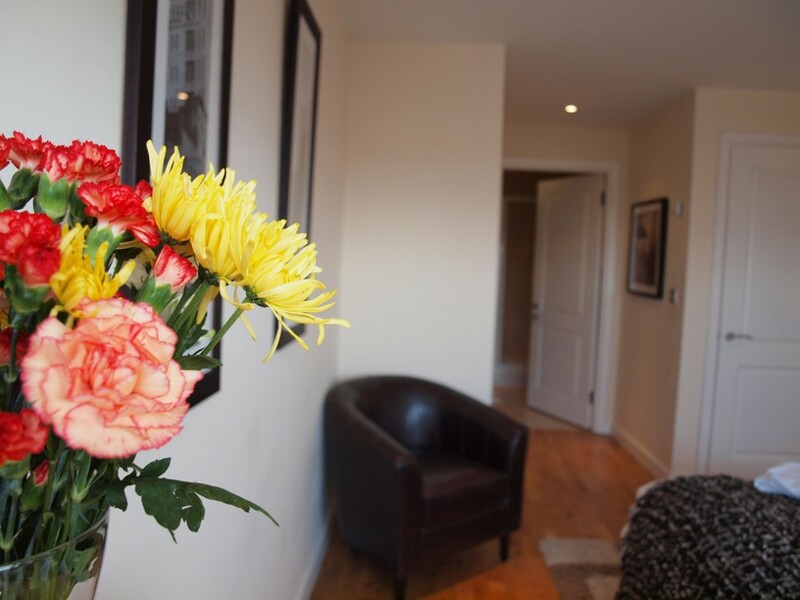 A serviced apartment in Milton Keynes conforms to the current hospitality market with an ambitious strategy to offer the best service to all local and international guests. Their journey starts with a quick and easy booking process. The serviced apartment industry captures the trend for travellers looking for home-style accommodation with flexible work space, social area and the option of cooking in, phoning for a fast-food delivery or eating out at one of a vast choice of eateries. Sometimes when travelling it makes a pleasant change to have time to yourself, without the formalities of a hotel. 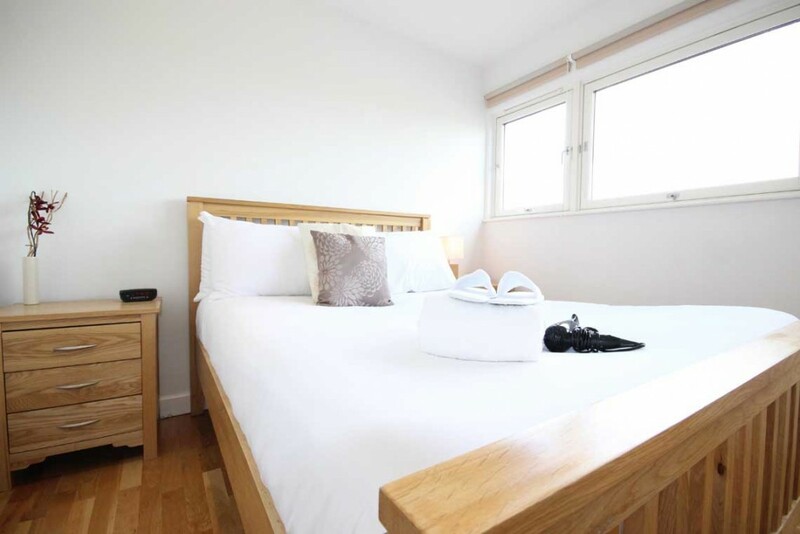 Whilst many do admit to enjoying a stay in a luxury hotel, the privacy you get from a spacious stylishly-furnished serviced apartment is a welcome alternative. And, more so for frequent travel or stays of a few nights or longer. Cotels serviced apartments in Milton Keynes offer a choice of four different locations and apartment sizes from studio through to three bedroom.There are even the luxury executive Penthouse serviced apartments in Milton Keynes for a real ‘home-away-from-home’ feeling with comforts we are so familiar with. Guests not only want a quick and easy booking process, but also a good visual feel for what to expect when they make the decision to switch from a traditional hotel stay to a self-contained apartment. Today we take you on a journey through a one bedroom apartment at out Theatre district location in the heart of the City centre. Close to the Theatre, shopping mall and a host of restaurants, theses apartments in Milton Keynes offer a sleek, uncluttered, spacious stay. The open-plan, fully-equipped kitchen, dining area and living space is filled with light from the floor to ceiling windows. The luxury, modern feel of the leather and oak-finish furniture are off-set by the clean lines of the wooden flooring. The apartment offers a comfortable stay accompanied for friends, family, colleagues or just you with your own space in which to unwind. An added luxury to the bedroom is this bucket chair in which to sit and read a book or quite simply to relax and collect your thoughts. With so much cupboard space, we hope it doesn’t become a ‘dump site’ for your dirty laundry! For that we guests are able to do their washing using the private laundry facilities provided in every serviced apartment in Milton Keynes. Other nice touches include a complimentary welcome pack which includes a supply of milk, tea, coffee, cereal and biscuits to get you through your first morning. Perfect for business travellers and weekenders alike. If the former, you’re just a short train journey away from London and, if the latter, it’s an easy walk to the mall, restaurants and the Theatre:MK. 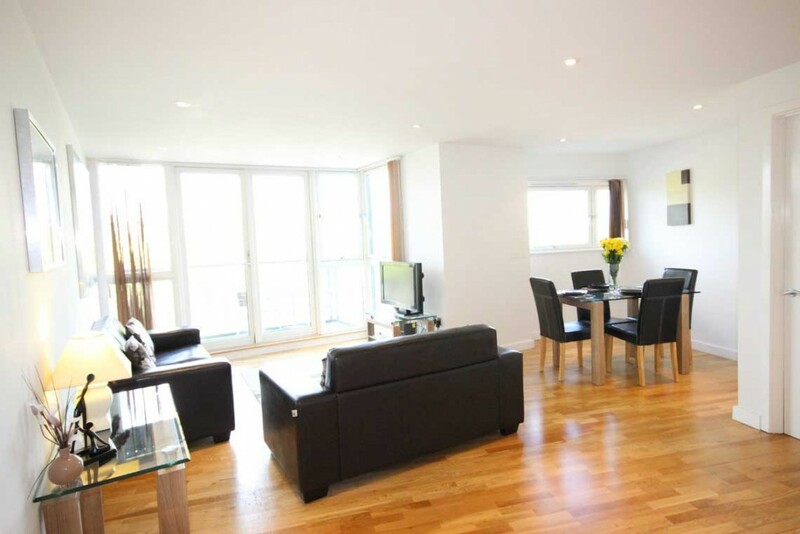 Booking a stay in a serviced apartment in Milton Keynes?